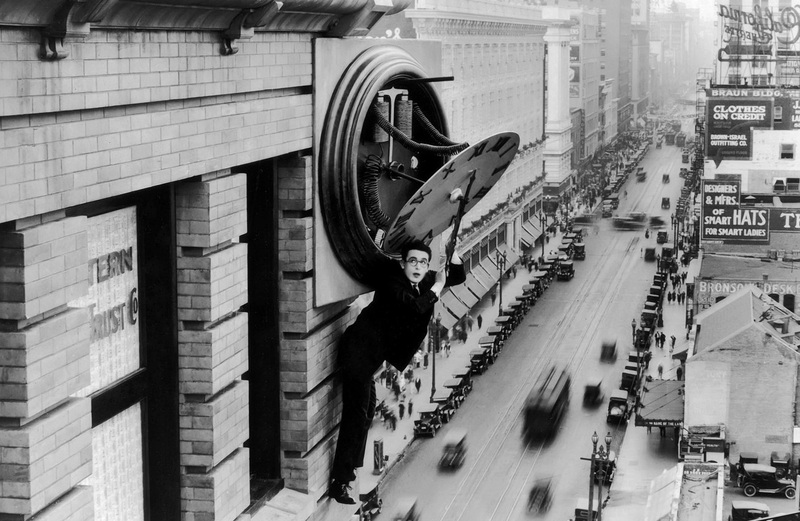 There is no better way to experience Harold Lloyd’s Safety Last! than in a giant 1920’s movie palace packed with audience members gasping and shrieking at every turn. The Los Angeles Conservancy screens this classic thrill comedy on Saturday, June 25, at the Orpheum Theater downtown, as the closing act of its Last Remaining Seats film series. Even if you’ve seen it before, the mass hysterics and contagious laughter will sweep over you, making this an edge-of-your-seat cinematic experience you won’t soon forget. I’m honored to have been invited back by the Conservancy to introduce the film. During my introduction I will point out many downtown film locations, explain the risks and challenges Harold faced when shooting, and show how the unique topography of early Los Angeles directly inspired the movie. I’ll also reveal connections between Safety Last! 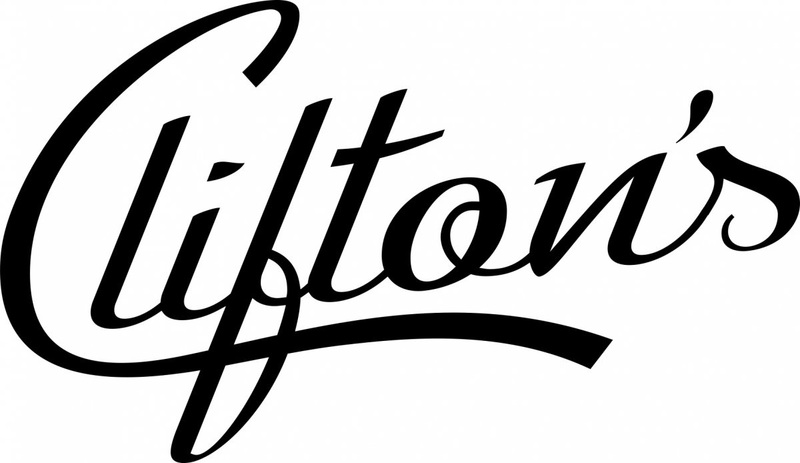 and certain Hollywood tattoo parlors, the post-WWII era’s most famous Santa Claus, and even the landmark Clifton’s Cafeteria that recently re-opened downtown. Walking Tours: Prior to the screening I’ll be leading Conservancy walking tours highlighting downtown filming locations used by Harold, as well as by Charlie Chaplin and Roscoe Arbuckle. You can download a shortened PDF version of the tour here. I’ll also be signing my Harold Lloyd film location book Silent Visions. 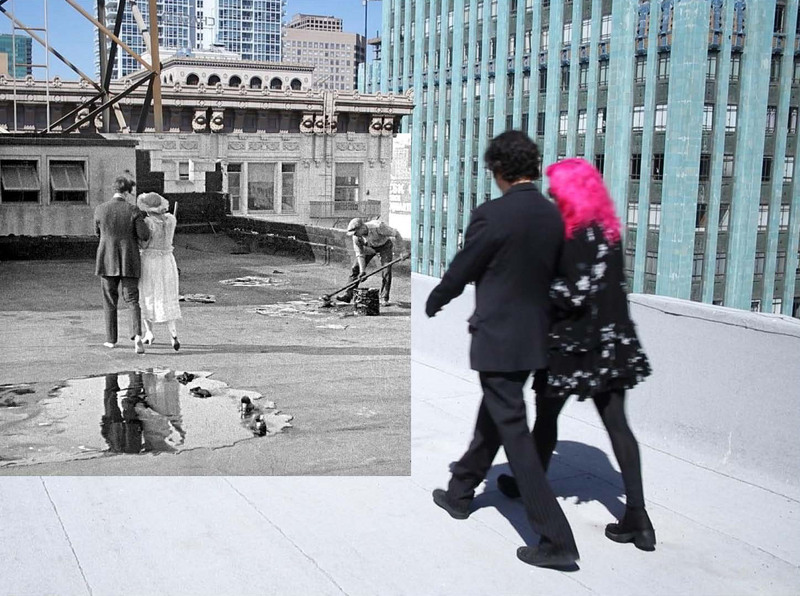 Alfonso Campos and fashion designer Tarina Tarantino reenacting the final scene on the roof of 908 S. Broadway, the same site where the clock sequence pictured at top was filmed, and home now to Tarina’s Sparkle Factory. Guests on the walking tours will be invited to visit this historic rooftop in person. So do yourself a favor, support a worthy cause, and check out the best possible way to see Safety Last!, with the electric energy of a huge, enthusiastic crowd. PS – if you need a good laugh, or want to raise your spirits, just listen to noted musician and silent film accompanist Michael Mortilla’s audio-only recording of an audience laughing and squealing with delight while watching Safety Last! It’s great to play as background music – the swells and squeals of laughter just grow and grow. 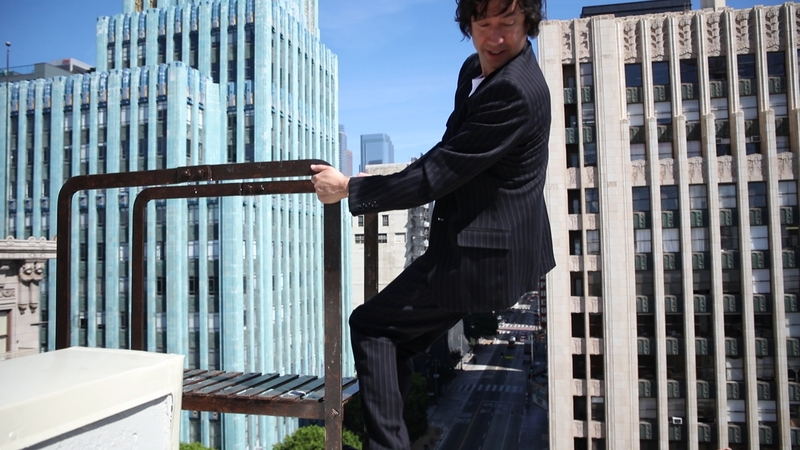 This entry was posted in Harold Lloyd, Lloyd Tour, Los Angeles Historic Core, Safety Last! 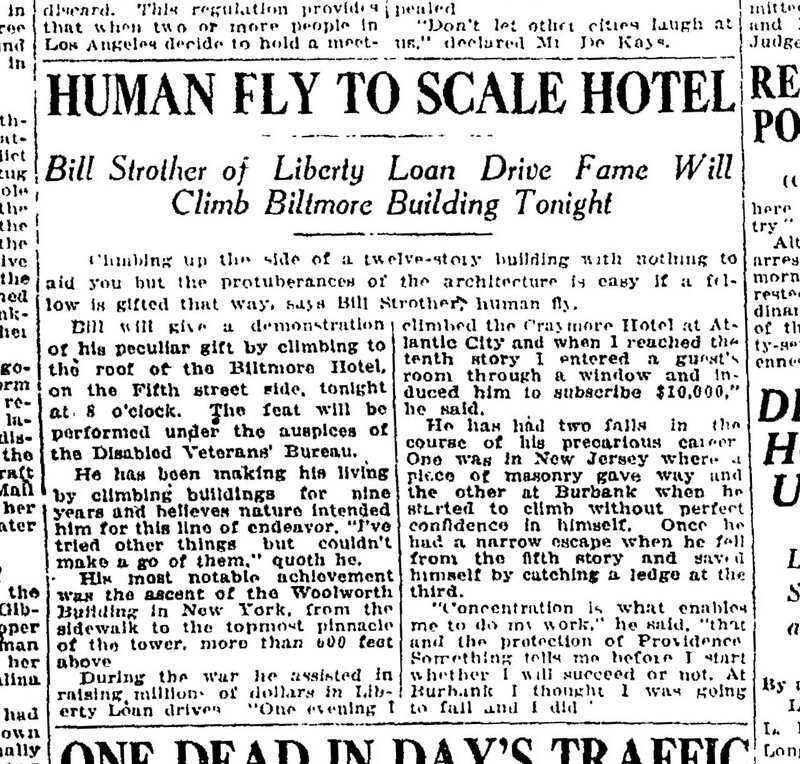 and tagged Broadway, Harold Lloyd, Los Angeles Conservancy, Los Angeles Historic Core, Man on the Clock, Safety Last!, Silent Comedians, Silent Comedies, Silent Movies, Stunt Climbing, then and now. Bookmark the permalink. 7 Responses to Saving the Best for (Safety) Last! Coincidentally, Safety Last! is screening here in Melbourne Australia on Sunday 19 June in a 1936 Cinema that has survived in this multiplex world. John… We really really enjoyed your talk last night at the Orpheum!!! I have all three of your books and am a huge fan. I hope one day to get all three signed! 🙂 Thankyou thankyou thankyou!!! Had the privilege of hearing you speak before this event. I teach a cinema class, and was wondering if you would mind my sharing your powerpoint with them, giving you credit of course?